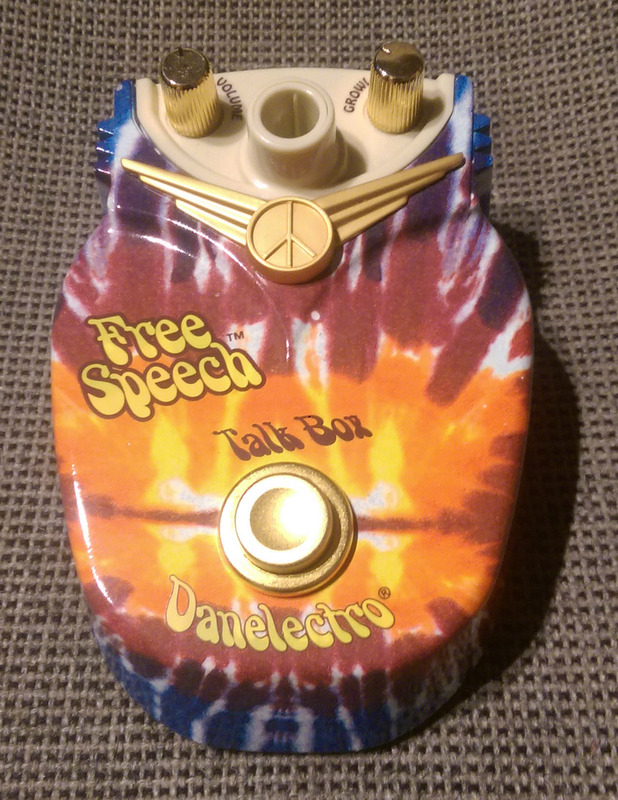 Free Speech TalkBox, Talkbox from Danelectro. 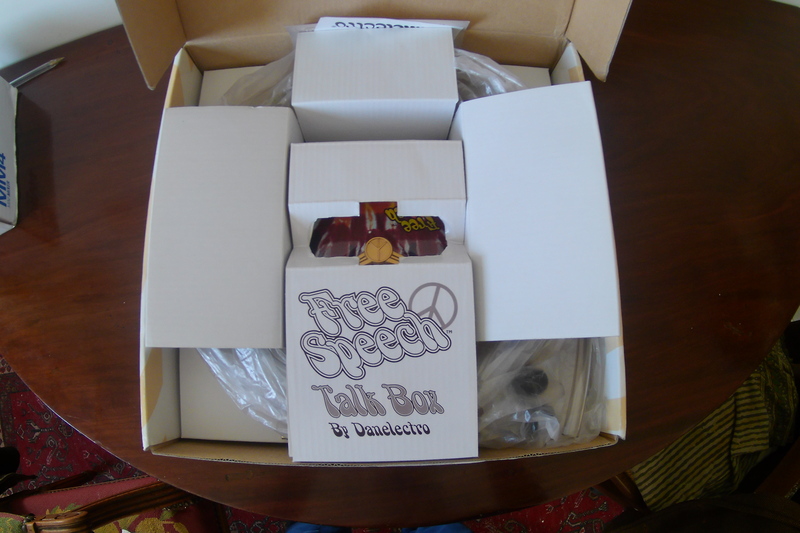 MGR/Steve's review"Danelectro Free Speech Talk Box"
I bought this pedal off Musiciansfriend.com for $99, great deal for a talk box!!! 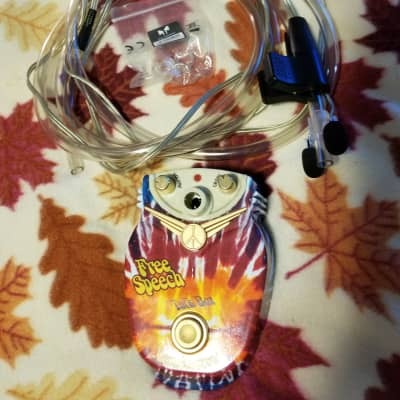 I bought it because I wanted a talk box, but didn't want to buy a talk box that requires a separate mic amp for it, and what do you know, Danelectro has it covered!!! You can't complain at all about this pedal, except for if you don't have one or bought another companys talk box where you need a separate mic amp, I laugh at you then!!! This pedal is soooo cool, you can really come up with the best songs or riffs or whatever with this pedal! You can really stand out on stage when you use this pedal! You will amaze everyone with this pedal when you use it!!! If you have heard this pedal has a low volume range, they are wrong, this thing can be as loud as you want it, just turn up the volume know and move the 2 mini mics closer to the end of the tube. This pedal also has a "growl" knob, which is for overdrive/distortion, the dist. actually sounds really good, trust me on that one! Peter Frampton at one time used this exact pedal! I use this pedal too much, it is so much fun and awesome!!! I wish I bought it sooner, and it is soooo cheap, only $100!!!! And you don't need a separate mic amp!!! Great deal!!! Built amazingly!!! Super sturdy and will last forever!!! This pedal sounds amazing, that is the main thing, the sound it produces, over the top, insanely great sounding effect pedal! 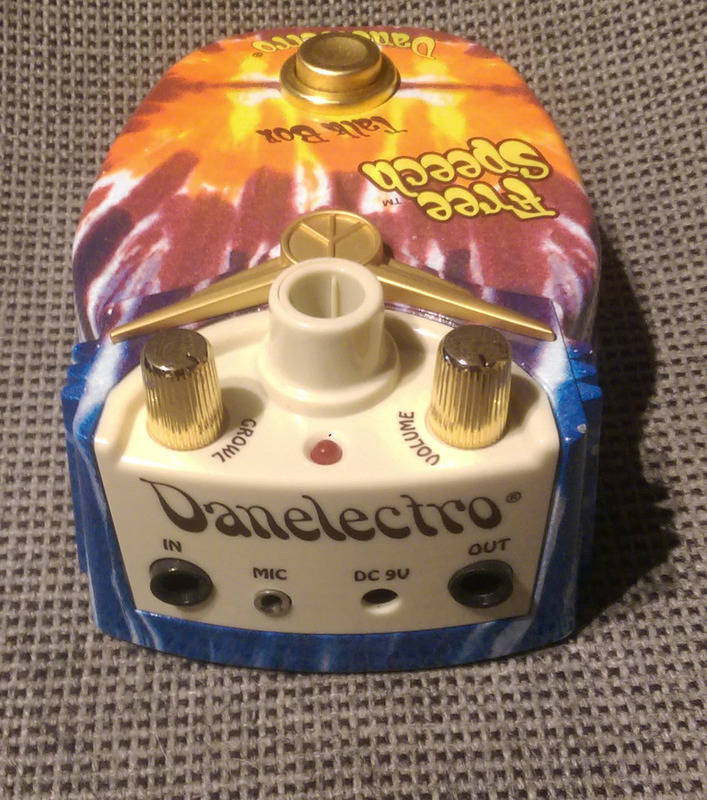 This pedal is an awesome pedal, I was sooo amazed by Danelectro, I never used any of their pedals, but this pedal totally blew me away!!! Don't say to yourself, "oh, it's a Danelectro pedal, they don't make good stuff" you're wrong!!! They do make some good pedals, and this is their best and better than most other pedals!! !I never tried the other talk boxes, the Dunlop one, the Rocktron, or the Framptone, but this one is probably as good or better than all of them except the Framptone talk box, because that is Peter Frampton's official talk box that costs $500!!! Frampton has his own effects company called Framptone, he has his own talk box, I want to try that one sooo bad, but it costs tooooo much!!! This one definitly takes the place of it for me!!! Talkbox effect pedals for children. DA-2 power is optional 8. The two microphones embedded in the pipe are provided with. There's two buttons that serve rglage nothing or almost. This so-called "" "talkbox" "" escape. c.. d: instead of the sound comes only through the hole is fixed o the hose, the sound comes out of everywhere, between Jack, food, small valve to put the battery ETC .. .. !!!!! Imagine a faucet that leaks everywhere. 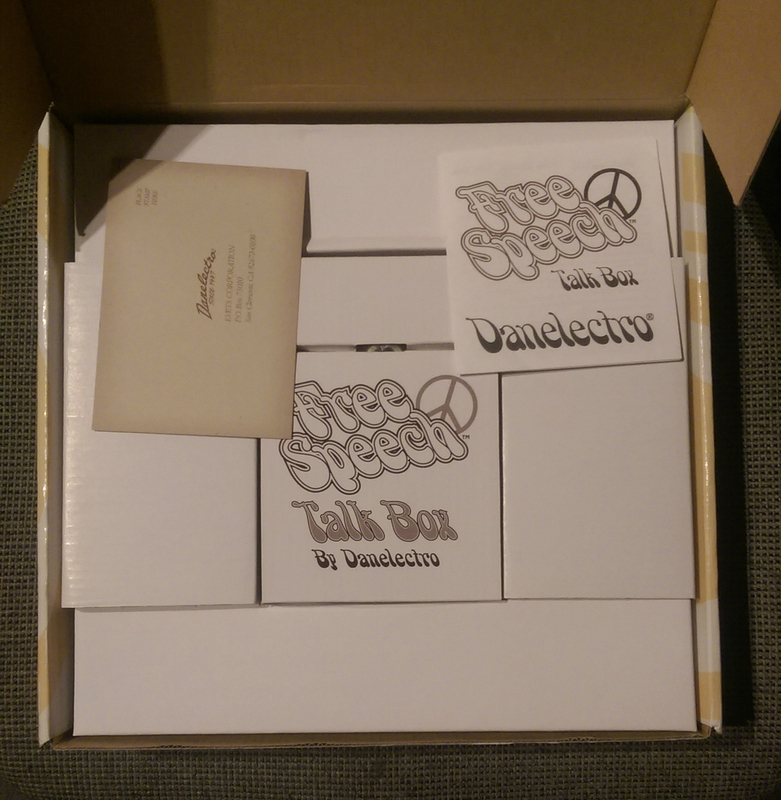 The indoor machine of free speech is dying of laughter (MDR), in the enclosure is no larger than a pice of cardboard and two, not so isolated from the instead of starting the AS through the hole in Danelectro bin, a fate all over (it is aptly named FreeSpeech mdr). The sound comes over the pedals as the hole in the pipe, fun! 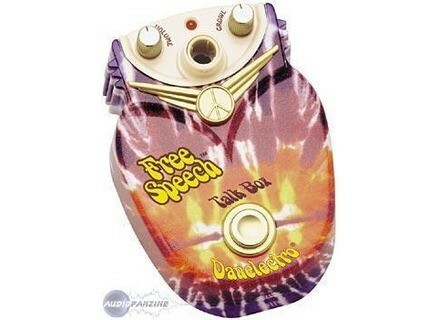 The person who created this home Danelectro talkbox has never used a true, otherwise it is not possible! He knows nothing. I never imagined having the stuff like a, it's a shame. The pipe is hard as an electric sheath. I wish you never to Get You Started with this thing and never buy one. J'espre that I think will serve you! !!!!!!!!!!! Test 2 is on free speech !!!!!!!! He is the most analog pedal! No program, very easy to use!! Despite all the views of other mouvaises for owners, I find it simple and functionel. The configuration depends on the fawn as it is connected I think ... D `first it will sound with feedback, but for a knob is the" volume "! It's pretty simple as the user manual: Plug and play! Knob and the "growl" function as the level of distortion, the controller also feddback. I think the sound quality depends on the location of the connection. I use a BOSS M-8 and it gives me posibilit set the equalization and as to avoid feedback. Also, I think it is possible to obtain several sonns with: tayu insertion in the mouth, the movement of the mouth, the distance between the microphone and lvres and also can be the controller with tayeu teeth and get a feedback control. There are many posibilities and sonns! I use despuis 2 months, I made electronic music with a group and it is super! I can do to beaucuup effects. El qualitprix the report is the best !!!!! 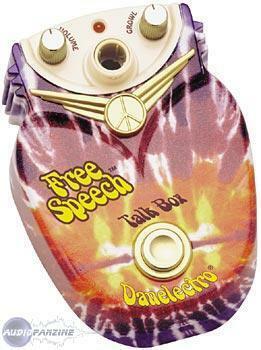 Dan electro's free speech is a talk box. The principle is simple hose (included) out of the talk box he uses his left. He returned in the mouth of the musician. The mouth is then used as a sounding board and a well modulated by the shape of the mouth is picked up by a microphone placed in front and outgoing and a receiver. I do not possde the pedals but the other guitarist in my band a possde. The configuration is not simple because you have a mic attached to the pipe. In addition it is necessary to position the microphone reussire good distance to pick up a good sound. Apart from this detail it is easy to use the hose is put on plays and is modulated by opening and closing the mouth. The micro level that comes with re-enters the pedals and therefore falls on the guitar amp which is not great. It is best to use it as a truth is said to bring out the sound with a microphone singing its song is connected to an amp the sound is much better. Now I can not compare with the dunlop. Its plus point is the report quality price. The negative stuff it takes to get u good sound.